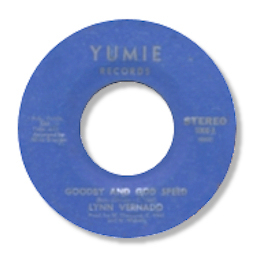 West Coast singer Allean Varnado’s two early 45s are highly sought after – not just for their rarity but also for the two dance classics “Wash And Wear Love” and “Second Hand Love”. 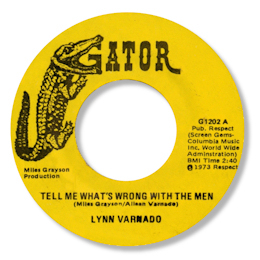 The A side of the Gator single “Tell Me What’s Wrong With The Men” is strutting funk that has been picked up by the fans of the genre, but the official top side of the Yumie single has been totally ignored – and it’s about time this omission was rectified. Goodbye And God Speed is a fine ballad, beautifully arranged by Miles Grayson, the presiding musical influence over all Lynn’s recordings. The song is structured as a waltz with good chord changes, and Lynn gives a committed performance, accompanied by strings, horns and a forceful rhythm section. A nice one to be sure. 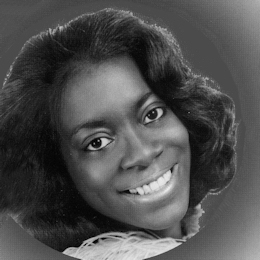 In 1978 Allean had a recording session with ex Motown staffer Clay McMurray. Both "Ain't That Soemthing" and "What Is This Life"are good uptempo numbers, with more than a hint of disco about the rhythm and structure. These days as Rev Allean Vernado Lang she is an "evangelist, singer, author, songwriter, Bible instructor and a fireball for God". You can read more about her current life at her website here. Note ~ Hayley UK issued "Ain't That Something" from 1978 licensed from producer Clay McMurray both as a 45 and as the title track of a CD. This track must have come from the same session as the ICA release. 1. KENT UK have issued “Wash And Wear Love” on “Northern Monsters”, “Second Hand Love” on “Masterpieces Of Modern Soul Vol 1”, and vol 2 of the same series has the unissued funk track “Staying At Home Like A Woman”. This is also on “Funk Soul Sisters” as is a different take/mix of “Tell Me What’s Wrong With The Men” entitled “Tell Me What’s Wrong”. But as yet there is no sign of a reissue of the terrific ballad showcased here. 2. Special thanks to David Cole and Garry Cape for reminding me of Allean Varnado's other recordings. I'm always grateful to them for pointing out my memory lapses.